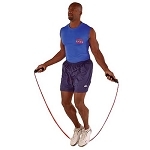 Product: Lateral Stepper - Athletic Exercise Equipment Strength Training. The Lateral Stepper is designed to improve lateral speed, agility, coordination, and balance. The use of the Lateral Stepper targets the muscles of the hip and groin, key muscles in lateral movement. Using the Lateral Stepper may seem difficult at first simply because it is working muscles that are often not targeted in training. The Lateral Stepper is designed develop both strength and coordination simultaneously. The Lateral Stepper consists of two adjustable padded ankle cuffs with Velcro closures and a 10 inch length of latex tubing. 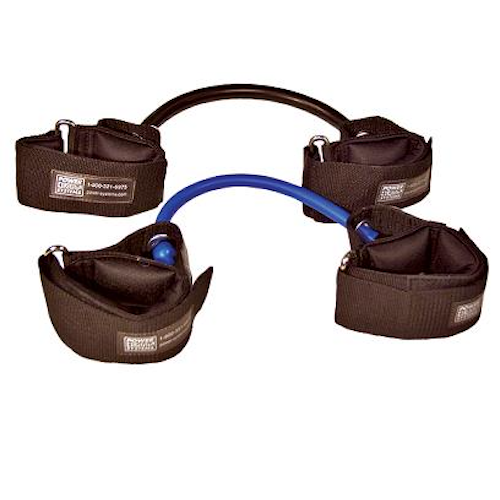 The tubing is available in four resistance levels: the basic model suits most beginning athletes; the Intermediate model is recommended for individuals under 180 lbs. ; the Advanced model is recommended for individuals over 180 lbs. ; and the Elite model is recommended for highly trained athletes. 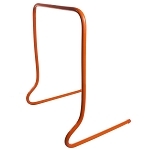 Resistance Training Equipment is good for lateral training for basketball. Each band weighs about 1 lbs. 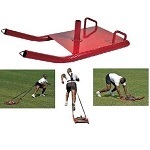 Power Systems Portable Fitness Equipment Exercise Equipment generally ships via UPS. EXTREMELY FAST delivery and exactly what it stated! Nice Product. Excellent speed of delivery. Product was delivered sooner than advertised and in excellent condition. Great product. Item as described, would deal with again. A: The tubing is 10 inches. Fast Shipping: Orders for the Power Systems LateralStepper generally leave the warehouse within 1-2 business days.